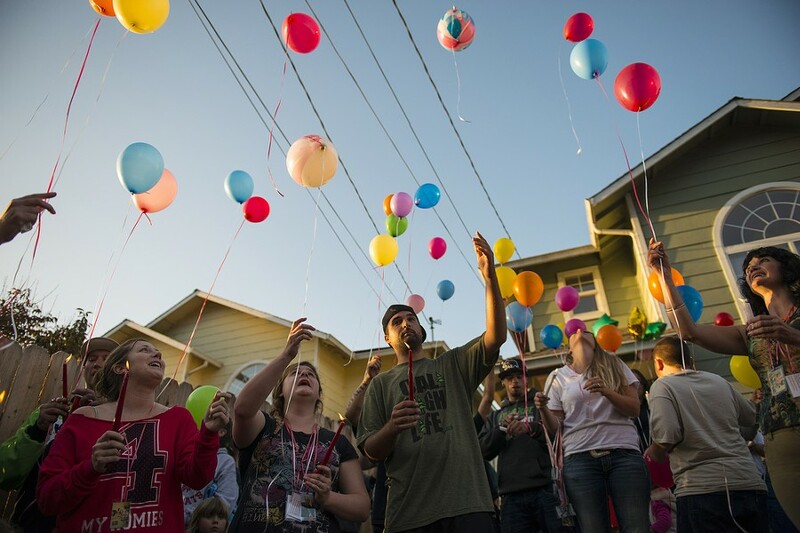 Friends and family release balloons during a vigil for Thomas "Tommy" McClain who was fatally shot by Eureka police early Wednesday morning. 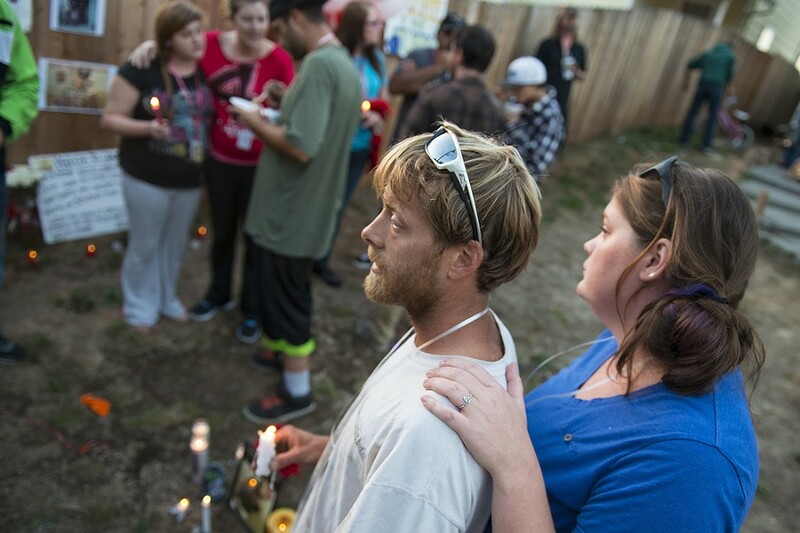 Friends and family gathered Friday evening to remember Thomas "Tommy" McClain, a 22-year-old Eureka man fatally shot by police early Wednesday morning. The shooting, which occurred as officers held McClain at gunpoint in front of a residence on the 1600 block of Allard Avenue, opening fire when he allegedly reached for a gun, is currently under investigation by a multi-agency county critical incident response team. 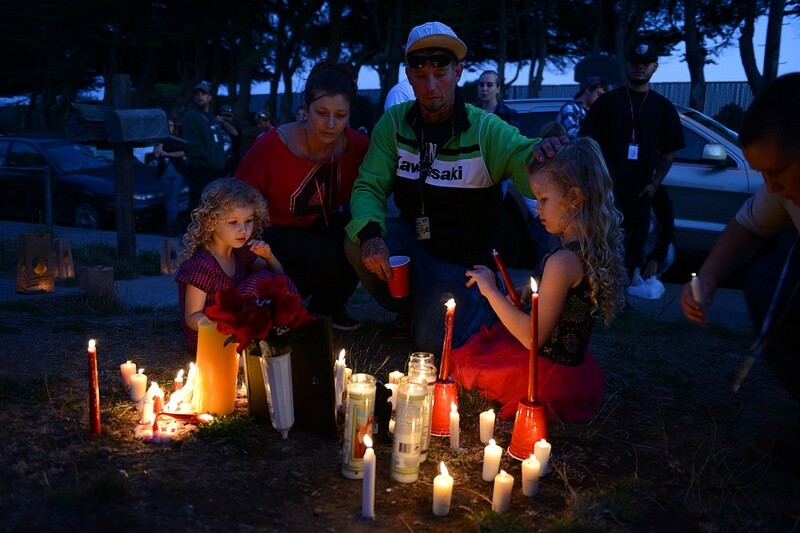 Local photographer Mark McKenna was at Friday's vigil, and shared the following images. 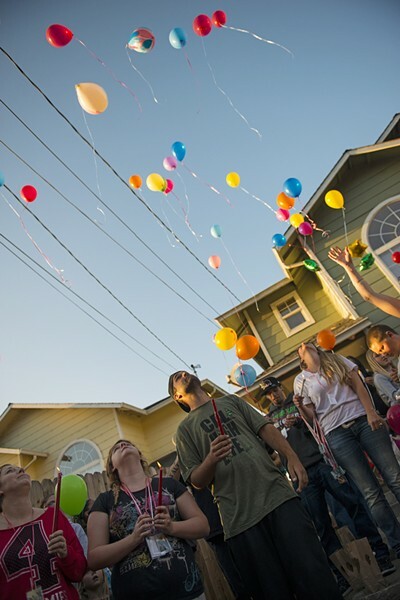 Friends and family release balloons during a vigil for Thomas "Tommy" McClain held at the scene of Wednesday's shooting. 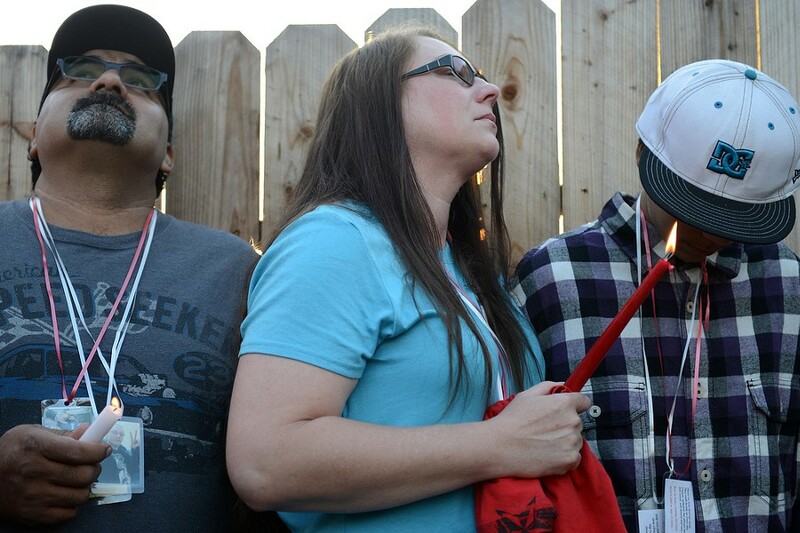 McClain's stepfather, Frank Barragan, left, his mother Jeanne, and brother, Nathaniel, comfort each other shortly after friends and family released balloons during Friday's Vigil. Corinna Ward and Patsy Yazzolino comfort each other. 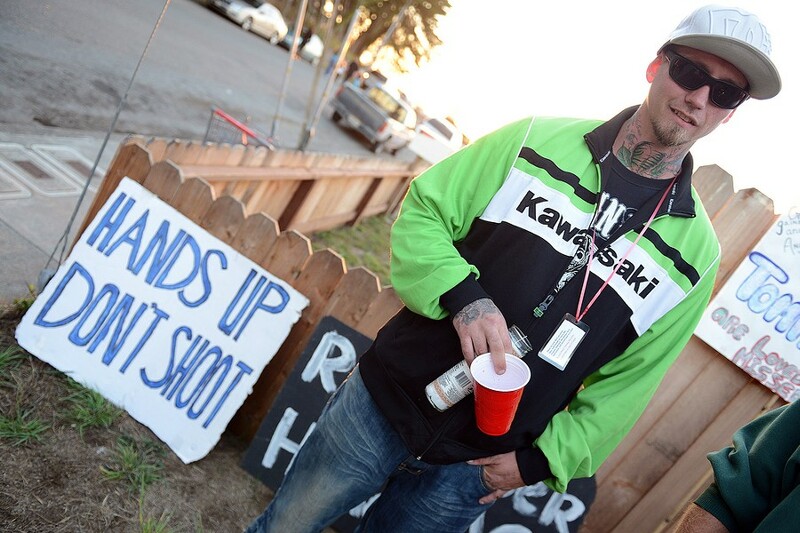 Josh Mottern, McClain's cousin, stands in front of signs set out at the vigil. 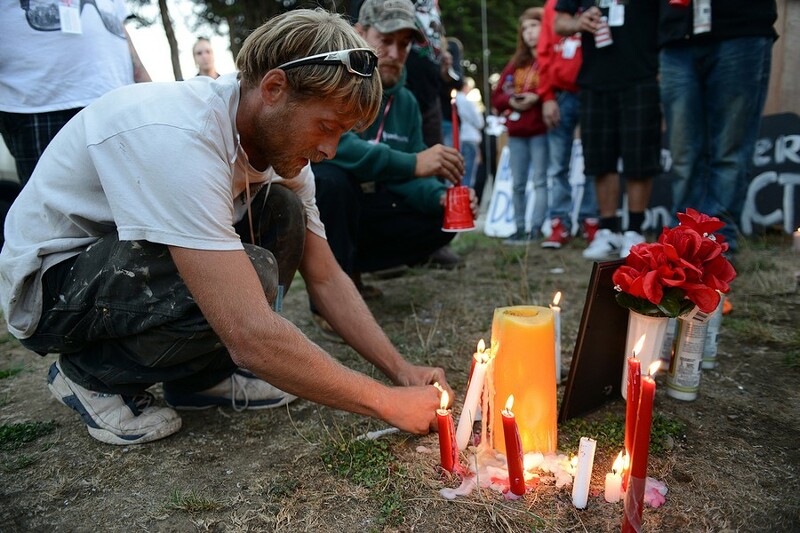 Andrew Evans holds a candle during the vigil for his friend and co-worker. Evans said McClain's death was mind blowing adding, "He was a mellow, kind kid. I could never see him being violent." Evans places a candle in front of McClain's photo. 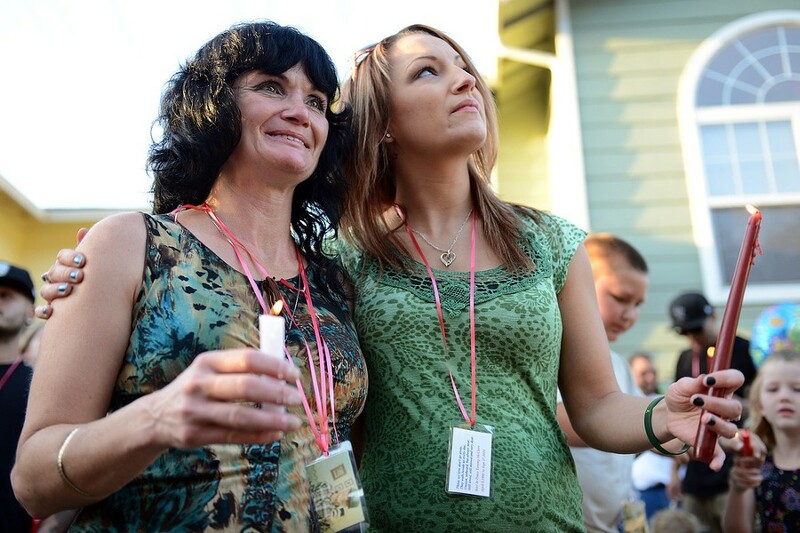 Nichole and Josh Mottern sit near a photo of McClain with their daughters Kendra, right, and Valorie. 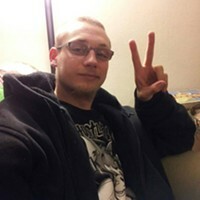 Josh Mottern was McClain's cousin and McClain had been living with the Motterns at a home on Allard Avenue in Eureka. McClain was fatally shot outside the home early Wednesday morning. 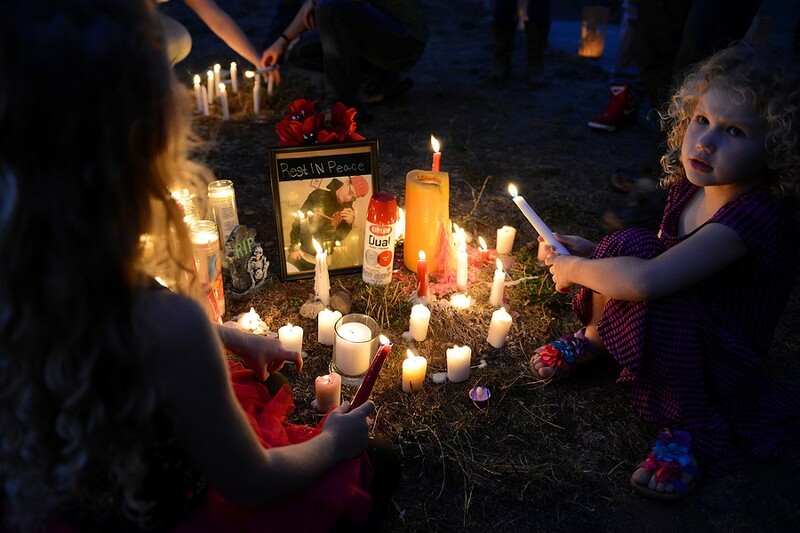 Valorie Mottern, 4, holds a candle near a photo of her cousin. 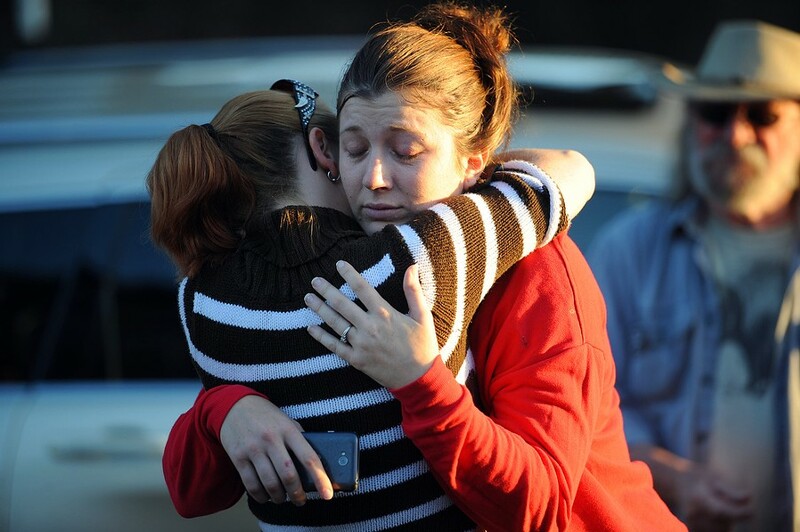 Nichole Mottern hugs a friend.